New Delhi, Nov 17: The Delhi High Court on Thursday asked the city government, Central Pollution Control Board (CPCB) and the Delhi Pollution Control Committee (DPCC) to apprise it of how it intends to spend money collected as green cess and other similar funds to mitigate air pollution in the national capital. A division bench of Justice S. Ravindra Bhat and Justice Sanjeev Sachdeva asked them: "What is being done with the funds?" The court's direction came after senior advocate Kailash Vasudev, who is assisting the court as amicus curiae, submitted that over Rs 700 crore had been collected as green cess for bringing to Delhi cars of 2000cc or larger engine capacity. The DPCC told the bench that fines amounting to Rs 50,000 were levied for every violation of construction norms in the city and 25 per cent of the amount collected was remitted to the CPCB for utilisation. The fines were levied on the direction of the National Green Tribunal (NGT) which had also ordered that the remaining 75 per cent of the amounts collected be spent on mitigating air pollution in the city, the DPCC told the court. Posting the matter for November 29, the high court asked the local bodies and the Delhi government to file a report indicating the most appropriate methods to ensure a coordinated approach to deal with polluting construction sites and effective implementation of the Air Act, the Environment Protection Act and the rules and guidelines framed under them. During the hearing, the civic agencies and the Delhi government told the court that they sprinkled water on the roads as ordered by it to reduce dust generation. The DPCC also informed the court that quadrupling of parking fare in Delhi had been done away with. On November 9, the high court had issued a slew of directions as immediate measures to control pollution in Delhi-NCR, such as ban on felling of trees, sprinkling of water on roads to control dust and strict enforcement of construction code to ensure the air was not polluted. 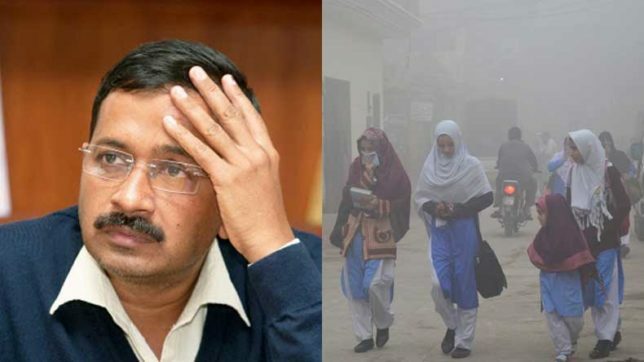 It had also asked the chief secretaries of Delhi and states coming in NCR to hold a meeting to consider the feasibility of cloud seeding to bring down air pollution. The court was hearing a suo motu case it initiated in 2015 to control air pollution in the national capital.